A street in Baltimore. Photo courtesy of Giorgio Angelini. Fifty years after the passing of the Fair Housing Act, people across the United States continue to face an uphill battle to homeownership. 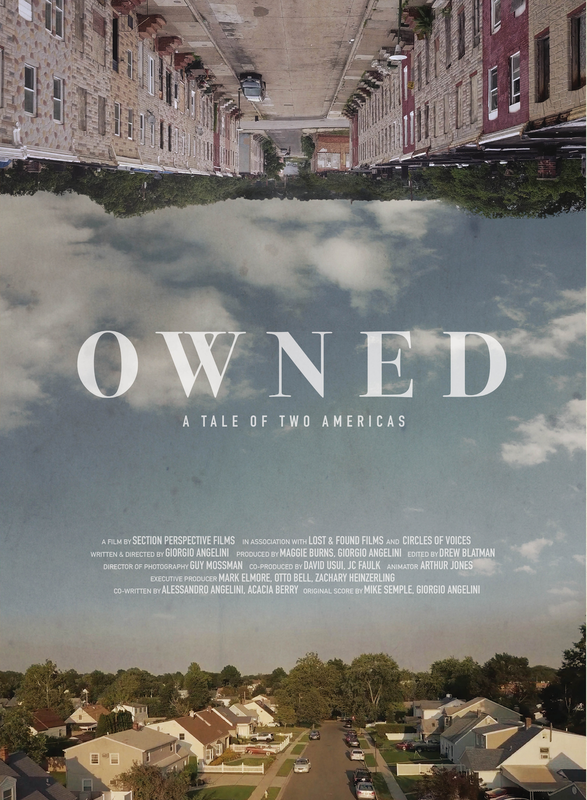 “Owned, a Tale of Two Americas,” directed by University of Texas at Austin history alumnus Giorgio Angelini attempts to get at the root of the U.S. housing crisis, which erupted in an economic collapse a short decade ago and may do so again if policies, currently catering to systematic oppression, don’t change. 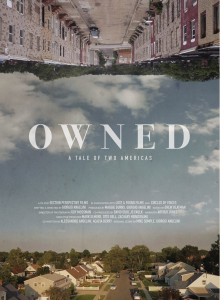 The film, which was produced by Plan II alums Maggie Burns and Zachary Heinzerling, was selected to screen at festivals across the country, including the Houston Cinema Arts Festival, DOC NYC, the San Francisco DocFest, St. Louis International Film Festival and Full Frame Documentary Film Festival. Most recently, the film was featured on MSNBC's Chris Hayes podcast, Why Is This Happening? Angelini: I was at Rice University completing my master’s in architecture during the middle of the housing crisis. I felt like people were diagnosing the wrong problem and offering solutions that did not really tackle the underlying issues. As an architecture student, we were told to consider what role design and architecture had in both the creation of the crash and in fixing it. Given this prompt, I applied for a grant to photograph this particular mcmansion development in Inland Empire, California. 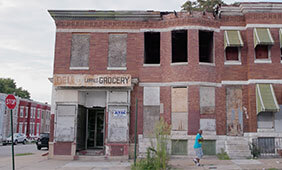 It was 2011, and with all the lending having dried up, the project had been abandoned. With the intent to simply photograph the remnants of this project, I came across a condition I wasn't expecting. 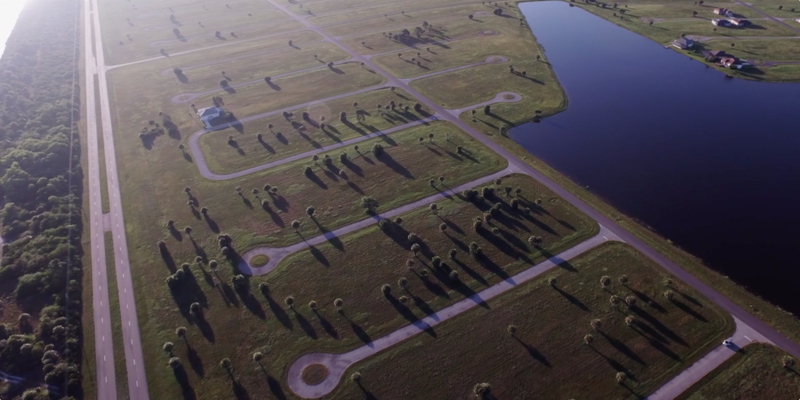 Hundreds of square miles of burnt down orange groves standing alongside half-built homes. It was a palpable sense of alienation, in this desolate desert wasteland, where I began to understand the relationship that commoditization was having on the way we built our homes, neighborhoods and cities. It seemed like a photograph exhibit was not enough to tell this story properly. So, I started filming the documentary the following year. What would people find most shocking about the American housing economy? When you tie the idea of wealth accumulation and valuation to the idea of home ownership, it has the consequence of teasing out some of the worst human instincts. Whether it be racist self-segregation or predatory lending practices, when you make a home's primary purpose an accumulator of wealth rather than a builder of cultural and human experience, it tends to lead to really bad things. Is America still in a housing crisis? Yes, 100 percent. When average home buyers have to compete with all-cash buyers — whether they come in the form of hedge funds amassing huge real estate portfolios, wealthy family funds collecting homes as a part of their portfolio of assets, or international buyers who see American single-family homes as no different than buying any other commodity — you have system so heavily built on speculation, that it is only a matter of time before the next bubble bursts. <--An undeveloped suburban community at standstill. Image courtesy of Giorgio Angelini. What do you hope viewers take away from watching your film? Our housing economy was built on racist policies that deprived millions of Americans from access to subsidies that helped to create the American middle class. And today, this same system is now leaving behind the middle class it helped to create, increasingly only serving to benefit a small percentage of the investor class. We need to change our policy to create homes that nurture great neighborhoods and inter-personal relationships, not great financial returns for investors. How did your liberal arts/history education benefit you in making this film? My professors at The University of Texas at Austin taught me the value of speaking truth to power. Any society that claims to be free cannot run from its past. And the cause of the study of history is to ensure a freer society. For more information on the film and where it will screen next, visit ownedfilm.com.